I love this place!! Great place for unique gifts and very pleasant and helpful shop owners. My friend was looking for a 22nd Anniversary present for his wife and found the perfect gift. I love the different selection of jewelry they have by very talented artists. 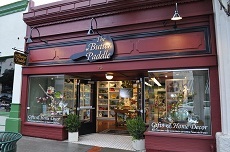 If your ever in downtown Los Gatos, be sure to stop by this wonderful shop! !